skirt things (forgot how they were called), you know, the ones Clone Commanders from Star Wars sometimes wear, might look good on him. @Botzinga - ok, I'll put you on the list for a non-canon male Makuta then. @Omega_Tahu - I suppose you do want that spot? 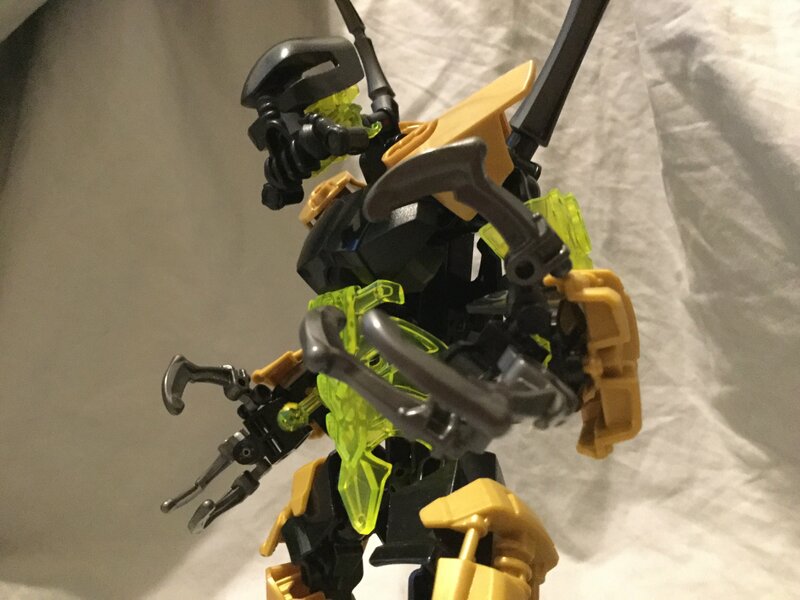 By the way that physician of Destral idea is unassigned again - it would be great if someone would decide to create such a Makuta. (Also a Makuta with a name starting witha "Y" would be nice - for completeion's sake since "Yandra" probably will change. I'll update the "Backstory help" section accordingly. All Makuta are currently assigned ? I suppose you do want that spot? Then I'll put you on the list. ‘Doctor’ wise, Mellex most possibly fit that, but going by the terms of if he’d be willing to do such/be trusted to do such, well... Going by current basis, he’s never been good, nor considered sane enough to trust with anything near that level of anything. Will add the link to the first post, too. Why do quite a few of these, more than enough to sound reminiscent to Mellex, match up with my current backstory/basis for him?! In that case, please hold off on writing Wanitama's entry 'till I post the complete revamp (thank you for the advice, by the way) with the updated backstory. I'd like t retain my spot for Makuta 3, since he's sitting on the desk in my room almost entirely complete. If Manguopo's story proves problematic for the RSG team, let me know and I'll whip up something new (also, should I still come up with a new name for him?). Manguopo is fine. Just leave everything about him as it is for the moment. So I am still on the lift. Sorry, I’m a G1 noob, what timeline are we on here? Uh, I fear I'm not quite sure what your question is? G1. More precisely between 100,000 years ago and the events in Karda Nui. The Makuta were created 100,000 years ago and your Makuta should die before Antroz and his team set off for Karda Nui. Sorry i know this is probably an inconvenience for you but i cant find all the parts to rebuild Kerona and its taking up a lot of my time at the moment and its kinda hard to get some other things done, for this one picture would you be able to use the picture of him you deem best, cause its just loads of my time is going into this. Alright, since it isn't explicitly stated in the rules (which I'll change right now, though), and you posted Kerona while I couldn't immediately give feedback I'll accept him. Still, if you find the time somewhen it would be great if you can nonetheless reassemble your MOC. That's 15 Makuta left to be built, folks! Time to grab your parts and finally get this done! Looking good from what I can see. I could imagine that backstory in post 1333 fitting your MOC. You'd just need to transcribe the suggestions I made in that post into a proper backstory. Alternatively we can discuss any other ideas you might have. I would've mentioned it, if I'd noticed it. Unfortunately, I didn't think about it.